At Tuke Heating we know that investing in a new boiler can be a big decision, especially if it is an unplanned purchase because your old boiler is beyond repair. Buying a new boiler – whether as a replacement for your old boiler as a more efficient, economical model – can seem daunting but as established professionals in boiler installations throughout Morley, we offer straightforward, fixed-price quotes and as much information as possible to help you choose the best boiler for your home and lifestyle. You’ll find that there’s a huge – and daunting – choice of boilers available and choosing the best boiler to suit you will depend on the size of your home and your lifestyle. The UK’s best selling boilers are combi boilers: offering efficiency and a compact, easy to house size, these boilers cover the heating and hot water requirements of most households. As a general rule of thumb, combi boilers are generally most suited to smaller properties with very little or no loft space. At Tuke Heating we are an experienced, local company carrying out boiler installations throughout Morley. We’re happy to offer no-obligation advice to help you find the most suitable boiler to suit your requirements. 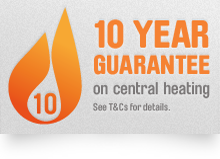 Alongside our boiler installation services, you’ll find that we also offer a range of boiler and central heating packages. Thanks to our many years of experience in boiler installation services, we take great pride in the high levels of customer service and professionalism we offer our customers. We promise to promise to not only find the best boiler to suit your budget, we’ll also provide a friendly yet professional service you can rely on. Our heating engineers are highly trained to ensure their product knowledge and industry experience remains up-to-date and relevant, so you can relax in the knowledge that your boiler installation is being carried out safely and to meet industry standards. We take pride in offering reliable, professional service with a friendly face so if you are looking for a specialist in boiler installations in Morley, why not get in touch with us today? We’re happy to offer no-obligation advice or a quote at a time to suit you.